Special Olympics hosted their Winter Games in Blowing Rock, North Carolina. The competition was fierce with over 300 competitors from Georgia, North Carolina, and Florida. 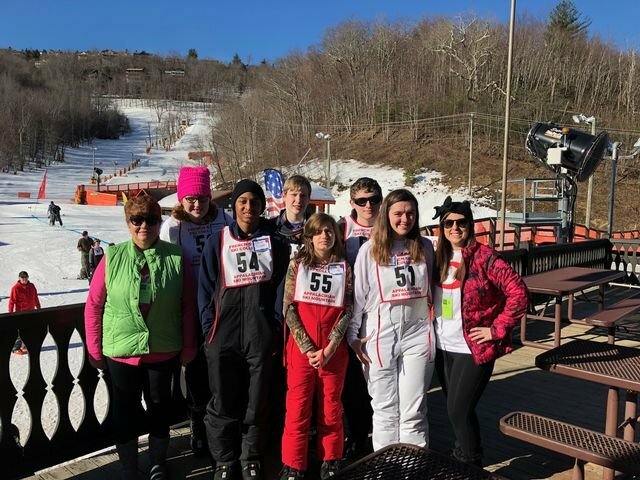 The following students won several medals: Natalie Carman--gold in skiing, Emmanuel Costellow--silver in snowboarding, Emily Detre--3rd in snowboarding, and Kevin Dozier-4th in snowboarding, Fade Crump--silver in skiing, Nikki Parker--4th place in slalom ski and GOLD in giant slalom. If you should see any of these students around, congratulate them on a job well done.